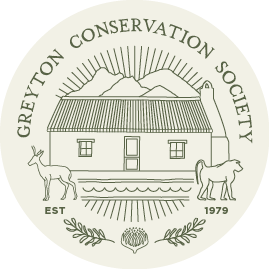 The Greyton Conservation Society, with the support of the Greyton Municipality, has reintroduced and marked walking paths for the not-so-fit, and hiking trails for the more energetic. Encounter spectacular bird life views, the year-round flower production of the magnificent Fynbos, regardless of altitude, at the commonage and Nature Reserve of Greyton. 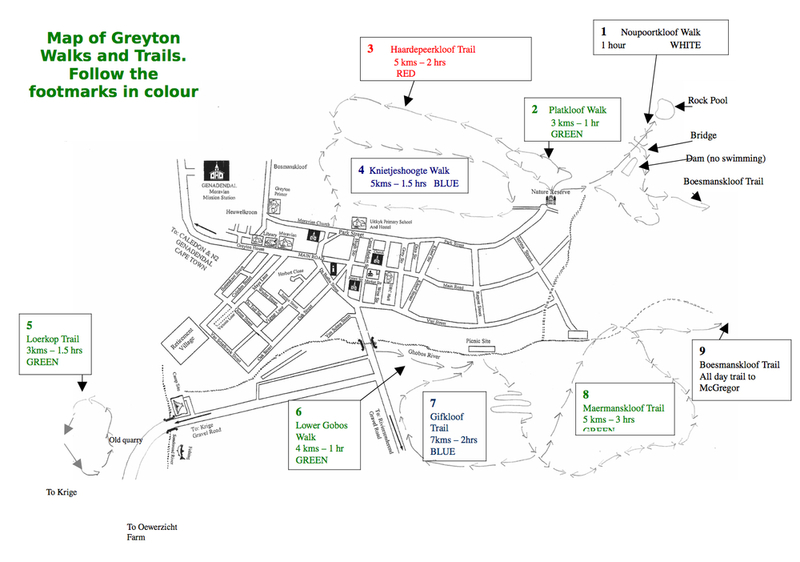 You can view the flower, plant, bird and animal species that can be found in the Greyton surrounds on iSpot where locals have photographed and marked the physical locations of their findings. If you are a member of iSpot, don't forget to tag the gems you find. Although you will often pass pristine sources of water, it is advisable to take a bottle of water with you. Don't hike alone, hiking with friends is always more fun and safe. Let someone know where you are going and which trail you will be following. See below for information on individual trails and hiking routes.